Japanese animated feature co-written and directed by Hiromasa Yonebayashi. 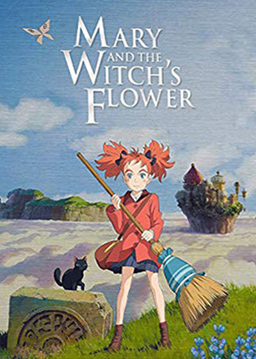 Based on the novel by Mary Stewart, the film follows Mary Smith (voice of Hana Sugisaki), a young girl who moves to the country estate owned by her Great-Aunt Charlotte (Shinobu Otake). 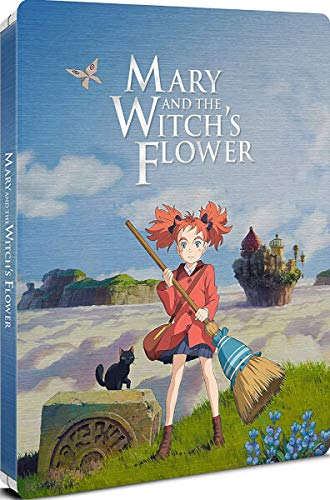 Bored and longing for an adventure, Mary follows a strange cat into a nearby forest and finds a magic broomstick which transports her to Endor College, a school for magic run by Madam Mumblechook (Yuki Amami) and Doctor Dee (Fumiyo Kohinata). However, things soon go wrong when a lie lands Mary in trouble. Limited edition deluxe steelbook package.